The question which must comes at-least once in mind of each car owner especially in youngsters that How to unlock car door of others without keys using yours car key fob remote. And if not then why not.Two three friends of mine also asked the same interesting thing to me and as a student of Engineering and Technology, I always replied them a big NO. Now almost in each car Remote Keyless Entry System is present. 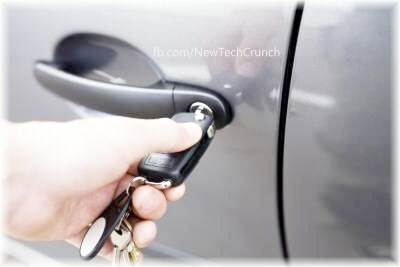 In this system a small radio transmitter is used to unlock car's door without use of key. On pressing car remote button, radio transmitter comes in contact with receiver in a car by sending signals. The receiver designed to act only on specific range frequency. Remote Keyless Entry system works with radio frequency of of range 300-400 mega hertz. It means that if we can anyhow get know about frequency of signal the probably successfully we can unlock somebody else car too using our remote. And undoubtedly this is the biggest flaw in car's security. But scientist smelled this possible flaw early and introduced Rolling Codes. Rolling codes are also known as Hopping Codes, are sets of symbols, numbers and alphabets saved in receivers controller chip. So every time when a user press unlock button the frequency of signal emits from remote would change. Means every time a different frequency is require to unlock car's door. These codes are encrypted and after each use a new randomly selected codes sends to remote through controller chip. 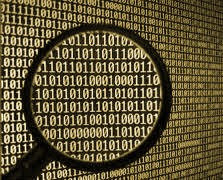 By use of this technology chances of catching frequency by some professional hackers by use of electronic devices like code grabbers are almost eliminated. And in latest smart key system an specific Identity number is also assigned to each remote. So with randomly selected codes frequency match of Key fob identity is also must to unlock car door. So, now stop thinking to unlock cars, because it is not simple as to change TV channels using different remotes. Cheers!